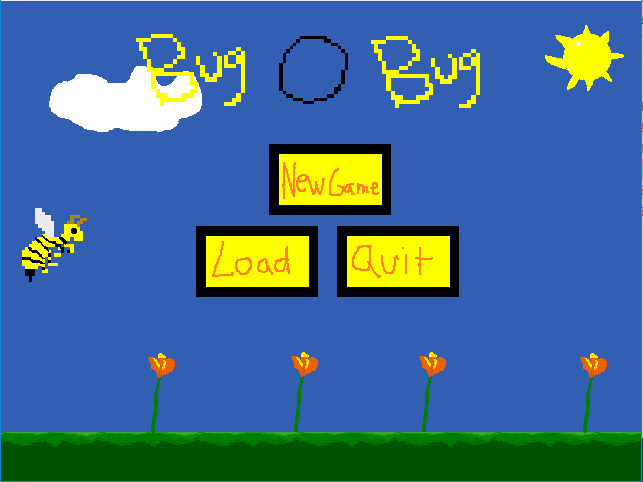 Bug o Bug is a shoot'em up game that was made for the April 7th to April 19th Sprummer Game Competition made by the user Piano. And it won the competition! 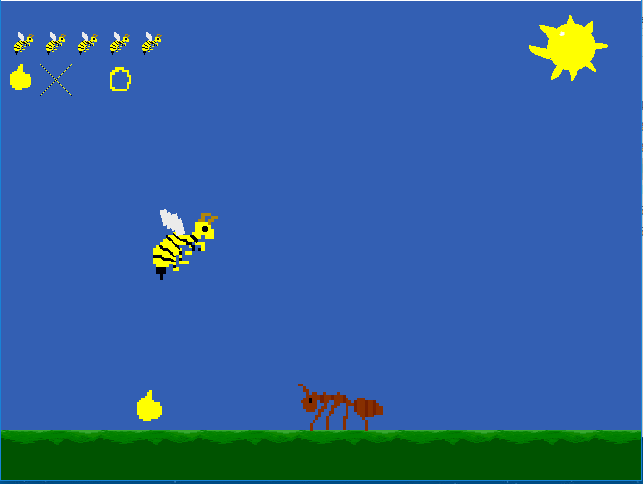 In Bug o Bug, winter has past and spring has comeback cause a continuous war to start again between two bee factions for honey. 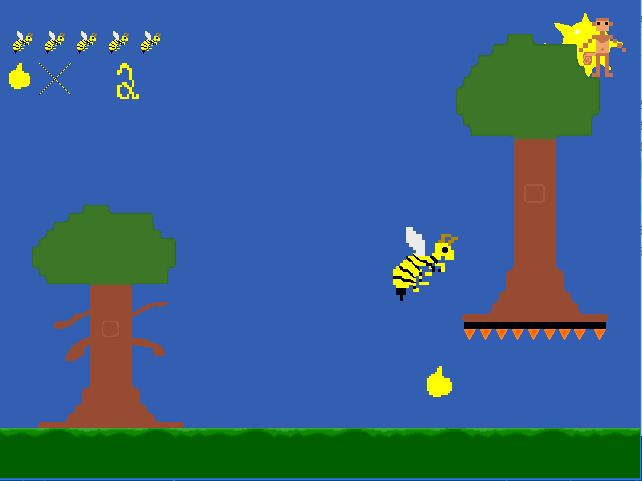 You play as a bee that is part of one of the two factions going through three levels looking for honey and killing other insects or bees from the rival bee faction. And dependant on how much honey you collect will determine the ending you get. Also NO REVIEWS IN THE COMMENTS! I would like to get your feedback on the game and have your score actually represent if the game is good or not. So please do a full review! Anyways I hope you enjoy it and have a good day! I've always liked fun quick games the games audio is really nice but I feel like its missing something crucial, the gameplay is fun but may get a bit boring after a while. I would say it starts off a bit slow although the difficulty ramps up quite nicely. It might be nice to be able to aquire some powerups as that short range shot is a bit annoying. Well done for not falling into the trap of limiting how many bullets the player can have on screen, its really annoying when you press fire and nothing happens because whoever designed the game doesn't want you to be able to play TOO well. The graphics can obviously be improved for next time if you're not in a rush to finish it.